Players split up in the corners. 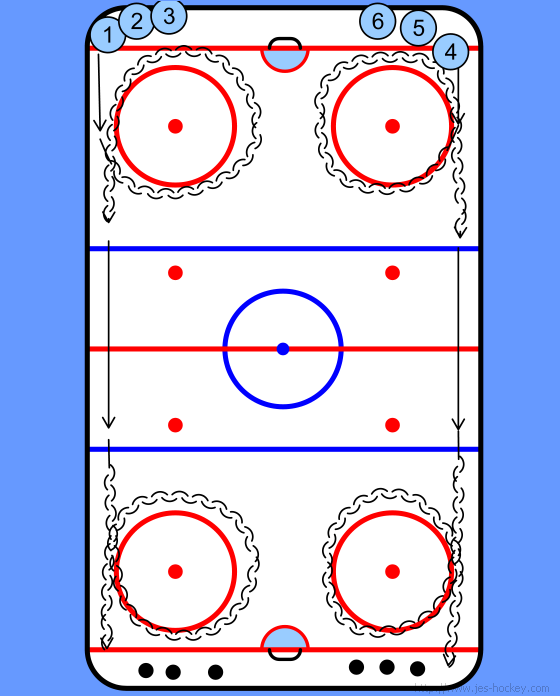 Player skates backwards around the first circle and the straight to the blue line, pivot forwards between blue lines, backward around circle to the corner. Return the same but stick handling with puck.